Here at London Cleaners we strive to make the properties of South East London the very best they can be, this is our goal. We do our job by fighting the never-ending battle that is cleanliness. If you have a cleaning job that needs to be attended to, then look no further than us. We are a local company residing, which means we care about the area you and we live in. For a local, top-quality and professional cleaning service all you have to do is give us a call on 020 3397 3245 today and we will fit you in at a time and date that suits you. We are the best cleaning company in the South East London area, which means the regions we cover are the London Borough of Lewisham, Southwark, Royal Borough of Greenwich, the northern part of the London Borough of Croydon and the eastern part of the London Borough of Lambeth. South East London is the home of so many places of interest, attracting millions of visitors from both the United Kingdom and the world. These include The Imperial War Museum, The London Eye, The Royal Observatory, The National Maritime Museum, Shakespeare’s Globe, The Garden Museum, Tate Modern, Tower Bridge and many more attractions too numerous to mention. Greenwich became a Royal Borough in February 2012 to mark the Diamond Jubilee of Queen Elizabeth II and to celebrate the area’s historic links with the Royal Family. The Greenwich area is also home to the world famous Prime Meridian on which Coordinated Universal Time is based. The Prime Meridian runs through the Greenwich area and the Greenwich Observatory is the designation of Greenwich Mean Time (GMT), which all world time is based on. 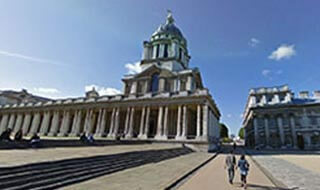 Greenwich was a top ten global destination in 2012. It was also one of the six host boroughs for the 2012 London Olympic Games, with the Royal Artillery Barracks hosting the shooting, Equestrianism at Greenwich Park and Gymnastics and Basketball at the O2 arena (former Millennium Dome). With all this attention from so many visitors we want to keep the South East of London looking its best at all times, so you can completely trust us and choose a cleaning service that suits you. We respect the environment we work in and that is why we are a green cleaning, eco-friendly company. We do not use any cleaning products that contain chemical ingredients that can be harmful to your health or the environment. All the products we use on your cleaning job contain solely non-toxic ingredients. Our results are amazing. So, pick up that phone and call 020 3397 3245 today to book your appointment and get a free, no obligation quote for your job. If you are looking for a professional cleaning that needs doing, now is the time. You will find that our prices are extremely competitive and we have a dedicated customer service team available to speak to you about your needs and the service we can offer. We can offer a variety of different services such as office cleaning, deep cleaning, home cleaning, end-of tenancy cleaning, carpet and upholstery cleaning and many more. If you want to see your home, office, carpets, upholstery or anything else you have spotlessly clean, then book a date with London Cleaners. Call 020 3397 3245 now and get your free estimate. Our expert cleaning teams are here to lend a hand when you do not have time to do it yourself.